Need letterhead? 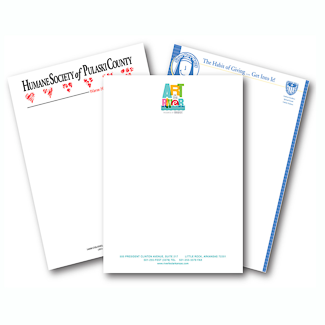 Professionally printed letterhead presents your business in a more professional manner to your customers. Whether you are sending a formal letter, a thank you, or a sales offer, your letters will make an impression when printed on high quality letterhead paper. Having a professional-looking letterhead design along with quality printing is a great way to gain trust from your customers and demonstrate to your clients that you're a quality company. Satisfied customer is the best source of advertisement.